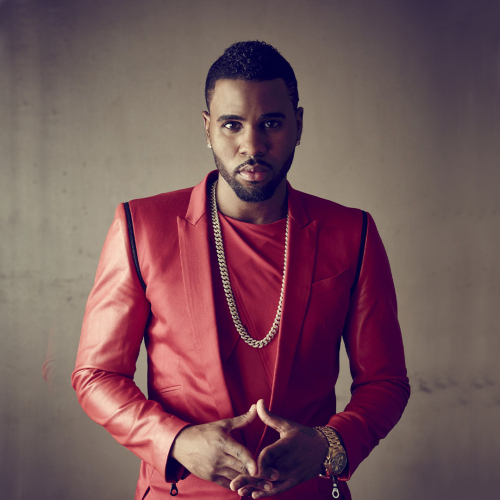 Jason Desrouleaux (born September 21, 1989 in Miami, Florida, United States), known more simply as Jason Derülo, is a Haitian-American singer-songwriter, dancer, choreographer, producer and actor signed to JR Rotem’s label Beluga Heights. He has been writing hit singles for acts such as Lil Wayne, Pleasure P, Pitbull, Stat Quo, Iyaz and Birdman since 2007, and he released his eponymous self-titled debut album in March 2010. His debut single from the album, "Whatcha Say", was released to radio in June 2009, it sampled the Imogen Heap song "Hide and Seek" and became a huge digital hit, selling over 2 million records, gaining an RIAA certification of 2x platinum, and reaching #1 in the US and several other countries. The album also spawned two further US top ten singles including "In My Head", which peaked at #5, and "Ridin' Solo", which peaked at #9. In 2011, he announced the release of his sophomore album, 'Future History'. "Don't Wanna Go Home" was released as the album's lead single in May 2011. As reported by the Undefeated Songfacts, on January 6, 2012, while Derülo was rehearsing for his Future History Tour, he broke one of his neck vertebrae. When he debuted "Undefeated" during the May 22, 2012 finale of the TV show 'American Idol', it was the singer’s first post-neck injury television performance.